At the University of Oxford on September 17, 2011, Simon Caney, Mark Philp, and Adam Swift discussed the issue of intergenerational justice and asked questions like how do we allocate resources intergenerationally accross areas like welfare, pensions, higher education and environmental costs? Der Spiegel: "Habermas, the Last European"
In the German weekly "Der Spiegel" (November 21, 2011), Georg Diez writes about Jürgen Habermas's struggle for a democratic EU - "Schluss jetzt!" "Habermas, the Last European: A Philosopher's Mission to Save the EU"
"I'm speaking here as a citizen," he says. "I would rather be sitting back home at my desk, believe me. But this is too important. Everyone has to understand that we have critical decisions facing us. That's why I'm so involved in this debate. The European project can no longer continue in elite modus." (....) " I condemn the political parties. Our politicians have long been incapable of aspiring to anything whatsoever other than being re-elected. They have no political substance whatsoever, no convictions." Habermas wants to get his message out. That's why he's sitting here [at a debate in Paris]. That's why he recently wrote an article in the Frankfurter Allgemeine newspaper, in which he accused EU politicians of cynicism and "turning their backs on the European ideals." That's why he has just written a book -- a "booklet," as he calls it -- which the respected German weekly Die Zeit promptly compared with Immanuel Kant's 1795 essay "Perpetual Peace: A Philosophical Sketch." The debate took place at the Goethe Institute in Paris on November 12. See my post here. On June 15, 2011, Professor Charles Taylor gave a lecture at Frankfurt University on "The Meaning of "Post-Secular". "The Meaning of "Post-Secular" (73 minutes). Charles Taylor was introduced by Professor Matthias Lutz-Bachmann (11 minutes). "Political Education and Public Reason"
"Democracy, Pluralism and the Idea of Public Reason: Rawls and Habermas in Comparative Perspective"
"Reason of State and Public Reason"
"When is Public Reason Possible?" "How Global Can Global Public Reason Be?" "The Frankfurt School and Critical Theory"
Claudio Corradetti is Senior Researcher at The European Academy of Bozen/Bolzano (EURAC). He is the author of "Relativism and Human Rights. 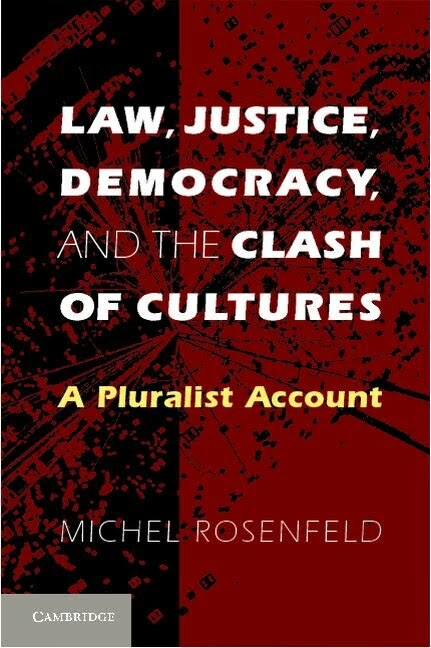 A Theory of Pluralistic Universalism" (Springer, 2009) and the editor of "Philosophical Dimensions of Human Rights" (Springer, forthcoming 2012) [see a preview here]. "The Unwritten Theory of Justice: Rawlsian Liberalism Versus Libertarianism". Forthcoming in Jon Mandle and David Reidy (eds.) - "The Blackwell Companion to Rawls" (Blackwell, 2012). When A Theory of Justice was published in 1971, utilitarianism was the game to beat in political philosophy, and Rawls made clear his intention to beat it. The appearance of Nozick’s Anarchy, State and Utopia three years later singlehandedly enshrined libertarianism rather than utilitarianism in the popular imagination as the chief rival to Rawls’s two principles of justice. Ever since, Rawlsian liberalism has had two parallel lives in political theory. The first - the version Rawls wrote - is a response to utilitarian’s failure to take seriously the separateness of persons. The second - the unwritten version ‘received’ by its general audience - is a response to libertarianism’s failure to take seriously our moral obligations to the well-being of our fellow citizens. This article considers how, had he written the second version, Rawls might have dealt with libertarians’ critique of ‘justice as fairness’ as fundamentally illiberal, and how his two principles might have been transformed in the process. Barbara F. Fried is Professor of Law at Standford Law School, Stanford University. * Alexander Cammann - "Der Traum von der Weltinnenpolitik"
* Eckhard Fuhr - "Utopischer Realismus"
* Uwe Justus Wenzel - "Europäische Doppelbürgerschaft"
* Micha Brumlik - "Ein neues Narrativ wider die Skepsis"
* Stefan Müller-Doohm - "Europas Rolle in einer zukünftigen Weltgesellschaft"
* Tomasz Kurianowicz - "Das Volk ist klüger"
* Gustav Seibt - "Unser inneres Brüssel"
* Johanna di Blasi - "Jürgen Habermas kritisiert den postdemokratischen Europakurs"
* Ronald Pohl - "Als die Bürger das Handeln erlernten"
See my previous post on Habermas's book here (with links to some of the essays). An English version of the book is coming out next year on "Polity Press", entitled "The Crisis of the European Union: A Response." On Saturday November 12, Jürgen Habermas talks with Heinz Wismann at the Goethe Institute in Paris. "Angela Merkel and Nicolas Sarkozy appear to have settled some sort of compromise between German economic liberalism and French statism with a completely different intent. If I am not mistaken, they want to extend the executive federalism of the Lisbon treaty into an outright intergovernmental rule by the European Council. Such a regime would make it possible to transfer the imperatives of the markets to the national budgets without proper democratic legitimation. This would involve using threats of sanctions and pressure on disempowered national parliaments to enforce nontransparent and informal agreements. In this way, the heads of government would transform the European project into its opposite. The first transnational democracy would become an especially effective, because disguised, arrangement for exercising a kind of post-democratic rule." "The Rawlsian Law of Peoples and the Cosmopolitist Critique"
In 2001 John Rawls published a little book called The Law of Peoples, that was originally supposed to be a chapter for Justice as Fairness: a Restatement, a revision and re-organization of his theory. Although it was expected in vivid anticipation, the book has generated controversy. While that may not seem surprising to Mr. Rawls – most of his theories were subject of intense debate, that being one of the reasons why they are so relevant to the Academy – the international part of the Justice as Fairness theory was received with astonishment by both his students and his “loyal opposition”. Rawlsian Law of Peoples works under a different Original Position, with restricted principles of justice and several other traits that simply seemed a completely modified setting than that of Justice as Fairness, as it were designed to reduce differences in a national legal context of basic institutions and goods. This paper tries to summarize the main criticisms that the Law of Peoples has received, specifically from a series of scholars that could be considered as defenders of Cosmopolitanism, given their commitment to the idea of an order of global justice. And hearing those voices of dissent, it tries to address the claim that this new theory of International Law is actually contradictory to Rawls’ Theory of Justice itself. At last, it will try to give suggestions of how the Law of Peoples should be different, for it to follow the principles of egalitarianism displayed throughout Justice as Fairness as a whole. Wagner Artur Cabral is graduate in Law at the Federal University of Minas Gerais, Barzil. The paper is a summary of the main points covered by the author’s graduate thesis, presented in August 2011. See also Fabienne Peter's entry on "Political Legitimacy" in "Stanford Encyclopedia of Philosophy". Fabienne Peter is Associate Professor at the Department of Philosophy, Warwick University. * Harald Jähner - "Eine Herzensangelegenheit"
* Gabor Steingart - "Angriff auf die Marktwirtschaft"
* Jan Fleischhauer - "Unter Apokalyptikern"
* Bernd Ulrich - "Wir haben die Wahl"
* Rainer Hank - "Kurszettel gegen Stimmzettel"
* Ernst-Joachim Mestmäcker - "Der Schamfleck ist die Geldverachtung"
* Georg Diez - "Schluss jetzt!" 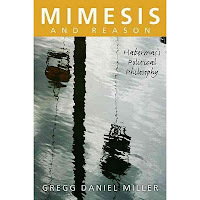 "Moving beyond the impasse of mimesis versus communicative rationality, an alternative that pitted Adorno against Habermas, Gregg Daniel Miller opens up a new vista in the continuing effort to develop a viable Critical Theory for the twenty-first century. Drawing on the insights of Mead and Benjamin, he imaginatively and persuasively etablishes a point d'appui for rational critique that entents well beyond wan proceduralism without regressing to a discredited metaphisics." Gregg Daniel Miller is Lecturer at the University of Washington. In 2006, Gregg David Miller was awarded the Western Political Science Association's Best Dissertation Award for "Mimesis in Communicative Action: Habermas and the Affective Bond of Understanding." 8. Sind religiöse Überzeugungen "kostspielige Präferenzen"? 10. Begünstigt die rechtliche Verpflichtung zu vernünftigen Ausnahmeregelungen die Religion? "Rettet die Würde der Demokratie"
Papandreou hält dem zerrissenen Europa den Spiegel vor. Ein Kommentar zu Frank Schirrmachers „Demokratie ist Ramsch" (Frankfurter Allgemeine Zeitung, November 1, 2011). In his comment, Habermas describes the tension between democracy and capitalism and he refers to an article by Wolfgang Streeck on "The Crisis of Democratic Capitalism" in "New Left Review" Sep-Oct 2011. Wolfgang Streeck's paper was given as the 2011 Max Weber Lecture at the European University Institute, Florence, in April 2011. See the paper here [pdf]. See comments on Habermas's article here. And an English summary here. An English translation of Frank Schirrmachers's article: "Democracy has junk status" (PressEurop). Professor Axel Honneth talks about "Markets and Morals" at The New School for Social Research, New York, on November 19, 2011. The lecture is arranged by the excellent journal "Constellations - An International Journal of Critical and Democratic Theory". Richard J. Bernstein - Is Politics "Practicable" Without Religion? 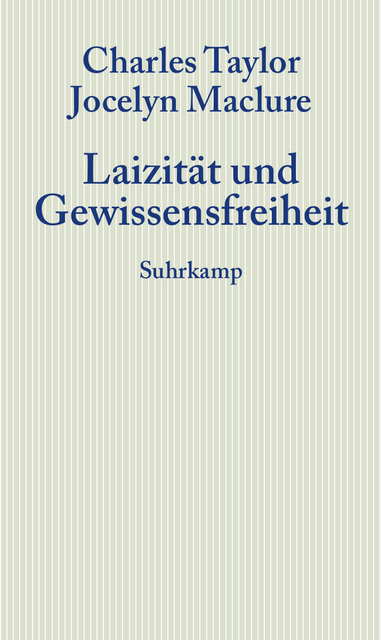 Published in: J. G. Finlayson & F. Freyenhagen (eds.) - Habermas and Rawls: Disputing the Political (Routledge, 2011), pp. 181-199. James Gledhill is Fellow in Political Theory, Government Department, London School of Economics.